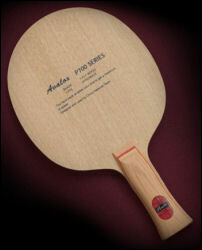 World Class blades and rubbers - the best table tennis bats! 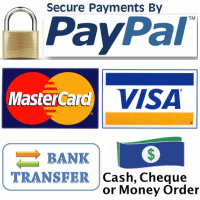 If the answer is YES to any of the above, you should seriously consider one of the classic and proven combinations listed below. 1. developing players need to learn how to generate good pace and spin through proper technique and not through fancy high-end equipment. Not until they've mastered their technique, they may be ready to sacrifise some control for the hi-tech equipment, and only then will they be able to get much more out of it because of their superior technique! 2. developing players need high control and good feel of the ball for proper development of their game. 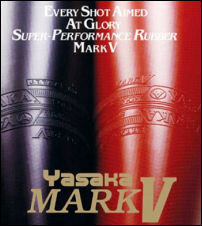 We recommend rubbers such as Yasaka Mark V or Donic Coppa, which are not only high performance rubbers that are used by many top players worldwide even today, but offer superior control and feel, which is essential for players that really wish to improve. As a bonus these rubber are also well priced compared to other Japanese or German made rubbers, and are also highly durable. Avalox offers a range of Swedish-made blades that have the great feel and control of the classic blades made 30+ years ago. Most of the modern mass-produces blades don't offer the control and feel that the classic blades offered. These blades are still used by World Class players even today, although very likely with faster rubbers as this is required at the elite levels, but these player still use these blade for their superior feel and control! Avalox blades may not be the only good choice for a blade, but it's definitely among the top, and with a great price tag considering it's track record! 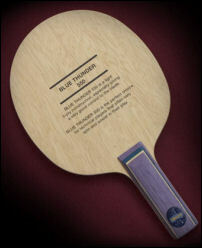 The Blue Thunder 550 is a top choice, especially among the European countries coaches, as for beginner to intermediate players it offers great control and feel and is around ALL+ to OFF- speed, which allows defensive as well offensive style strokes. 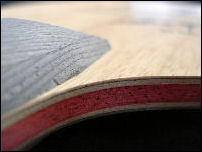 Combine this with some great allround rubbers, and you have a perfect combination for beginner to intermediate players. The P500 is classic blade that not only offer great development potential for intermediate players, but is also still used by many work class players, who simply add faster rubber to add the extra speed required for the game. Once the strokes of a developing player have reached a mature stage, more power may be required without sacrifising too much control and feel. The P700 is powerful blade for the more aggressive powerloopers that still want high control and high spin. The p700 is also still commonly used by the elite players, and is well known as one of the top classic blades for certain styles. For players that play aggressively with short pimple on the back, the p700 is one of the top recommendations. For the more advanced players that have developed their basic strokes, and choose to use some of the Tensor or tensioned rubbers on the market, and composite blade is often a good match with these rubbers. Avalox developed the Ma Wenge blade, which is a composite blade (carbon layer) to provide the bigger sweet spot and power, but still retains most of the touch and control that can only be found in all-wooden blades. The Ma Wenge is much under rated blade, that stacks up (and often outperforms) very well against some of the top composite blades on the market, but at a fraction of the price! This blade combines really well with latest Tensors and high tension rubbers like Tenergy. This combination is for a high-spin based game.